This is all just speculation, of course. Only Blizzard knows what the new races are going to be, if any. 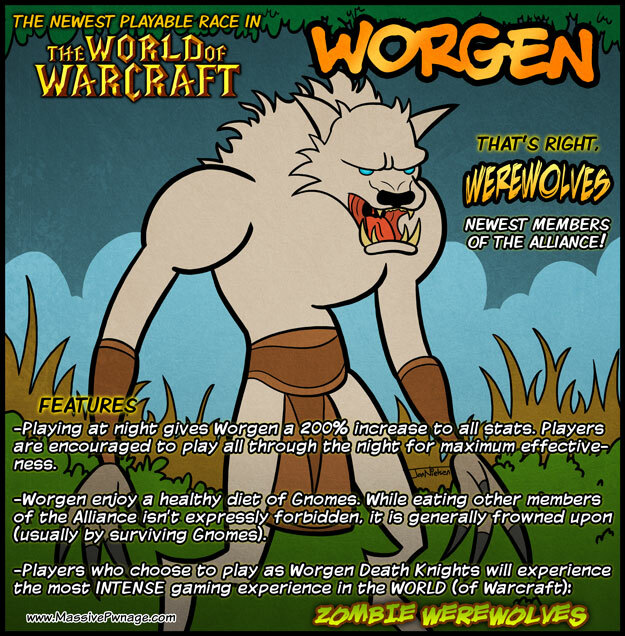 Personally, I think that the Alliance getting Worgen would be rather silly. I mean, they’re werewolves. Even if they were honest, hard-working werewolves just trying to make it in a world that hates them, it’d still be weird. In an awesome kind of way. I’d like to point to the blog I did the other day. I’m still looking for input. 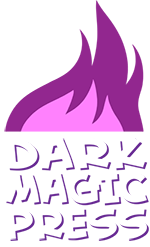 This entry was posted on Friday, July 24th, 2009 at 12:00 am and is filed under Comics. You can follow any responses to this entry through the RSS 2.0 feed. Both comments and pings are currently closed. Kibbels and brains and brains and brains and brains! This would be more of a HORDE race. Reminds me of a text I got a few months ago about the similarities of the Worgen with the African-American populous of the U.S. Cool! Although I hope the aliance gets pandaren! They just announced at Blizzcon (and its up on the WoW website as of this writing) that Goblins and Worgen are going to be the new races in Cataclysm O.o You’re a PSYCHIC!!! Unbelievable. This comic was actually true. Now all i can think of is how cool da worgen will be in Cataclysm. Oh, and Archaeology. I REALLY want to do that too.